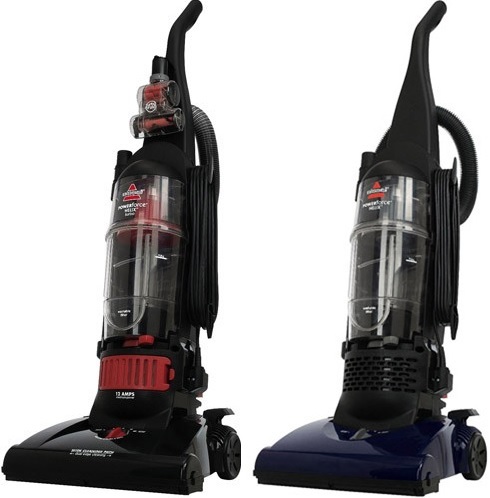 This is the summary of consumer reviews for Hoover WindTunnel T-Series Rewind Upright Vacuum, Bagless, UH70120. The BoolPool rating for this product is Good, with 3.90 stars, and the price range is $99.00-$129.99. 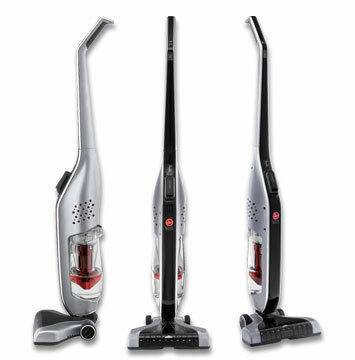 The Hoover WindTunnel UH70120, a bagless upright vacuum cleaner offers a powerful cleaning experience by combining superior performance and lightweight design at just 16.5 pounds. This unit is powered with a 12 amp motor and features a System Check Indicator to indicate the time to clean the dust cup to maintain its peak performance. The WindTunnel offers a patented technology featuring air passage, along with the unit’s five – position carpet height adjustment, that help maintain suction power and traps dirt and channels into the dirt cup thus allowing effective cleaning of all floor types. It comes with a 8-foot long flexible hose, 12-inch extension wand, a crevice tool and an upholstery / dusting brush. It also includes a powered hand tool for removing dust, dirt and hair from hard to reach places. The unit requires minimal maintenance due to its rinse-clean filter and high quality permanent HEPA filter. This filter can be rinsed and reused thus making it more cost effective. 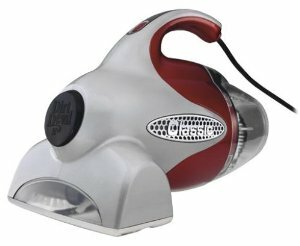 Some other highlights include a comfort-grip handle, 13.5 inch wide nozzle, no- scuff bumper to protect the furniture when in hurry and an intuitive fingertip control for easy and flexible operation. The unit has a quick cord-rewind mode with a pedal to activate, thus making it easy to store. Many reviewers report that the hose is short and requires frequent cleaning to avoid clogging of dirt. It was also noticed that the suction power is low, and the canister’s trap door spills the dirt all over while emptying it out. Another major complaint is that the belts and some small plastic are not durable and break off often. 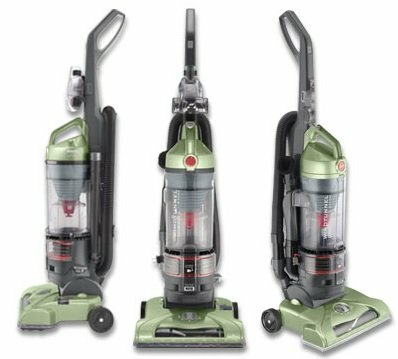 Overall, the Hoover WindTunnel UH70120 is a good vacuum cleaner with sleek design and superior cleaning power for carpeted floor or bare floors. 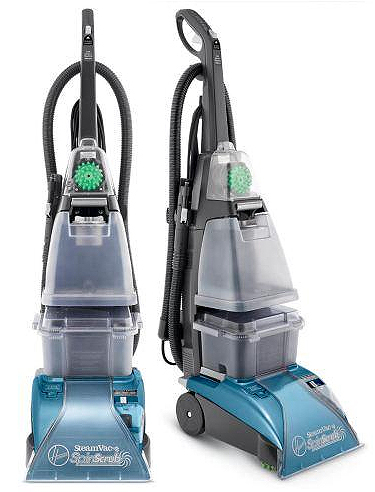 The WindTunnel T-Series vacuums feature patented Hoover WindTunnel technology that removes embedded dirt and minimizes blowback or scatter on carpet. Dirt was difficult to remove from canister. The best feature is the retractable cord...but this machine tends to clog easily. There's very little suction, and I'd almost no debris in the dirt trap. The cord was extremely hard to pull out. Then the cord didn't rewind. The power cord is WAY too short. For one thing, the trap door is covered in dirt, so it tends to drop the dirt all over the place when it drops open. It did a decent job picking up dirt and hair (people and cat). The hair causes the dirt to gather on one side of the dirt cup. No need to buy replacement bags or filters. No bags, no filters to buy, not even the Hepa filter needs to be replaced. In that time I replaced the hose and both filters (yes, the lifetime filter too). I bought one of these and it worked great for about 2 months then it'd start getting clogged up-even after emptying cannister and cleaning the filters. It seems to have good suction and I love the washable filters! Well after a year of using it and keeping the dustcup EMPTY and filters cleaned I noticed a light layer of Dust in my mouse. I love the retracting cord, it works splendid. The suction was good at first,but it's very tempermental, it loses suction easily and you've to keep taking it apart and cleaning different filters. I put the new hepa filter in 3 weeks ago and the suction came back for about a week. I went online to get a new filter and this model requires you to REPLACE THE ENTIRE HEPA FILTER (PLASTIC AND ALL)!! I'd happily pay twice the price for a bit sturdier product. I hadn't used the product for ten minutes when the first element broke--small, red, square plastic bushing/piece of trim surrounding the retractable power cord. Hoping the replacements I just ordered are better quality. The unit features a hepa filter, nice-looking attachments, a sleek design, it's bagless, sports an automatic-rewind cord, has a nice color, and was available for a great price (which would have been wonderful if the item functioned as promised). But those few cons didn't really stack up to the $50-60 price difference it'd have been...so overall I'm really happy with this model. 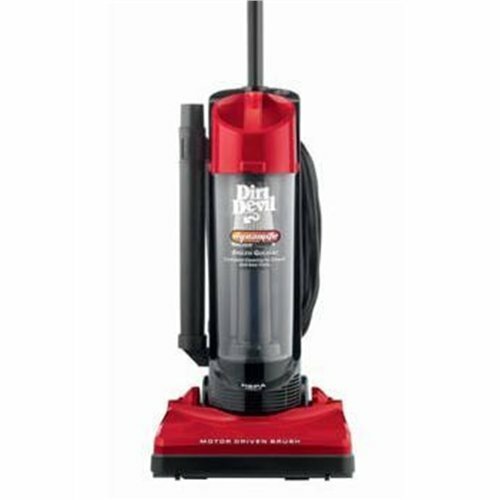 I also like the fact that Consumer Reports rated this better than vacuums that cost three times as much!. 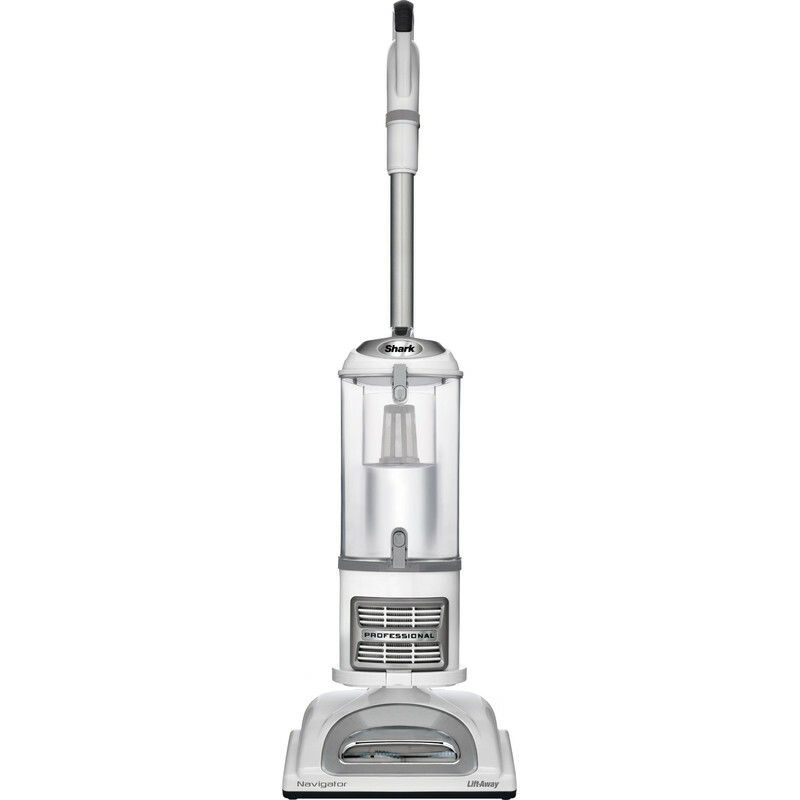 This vacuum is rated as a best buy in consumer reports. That'd have been a full bag trashed the first minute. Performs well on both carpet and ceramic tile, our two floor surfaces. It might work great on carpet, but if you've hardwood floors, get a Dyson. i live in a three story apartment, completely carpeted, and have a dog, and it works WONDERS. The amount of dirt this vacuum picks up out of the carpet amazes me! The first week it was pulling up the arm and hammer stuff that you sprinkle on your carpets along with a whole mess of dirt that my other vacuum didn't get. I only have one piece of carpet in my kitchen that's attached to the floor and shifting from the carpet to the floor ... the belt broke. We've three large dogs in our house and this vacuum gets all the dog hair up, on both carpet and hard floor. Literally didn't pick up the link from the carpet. 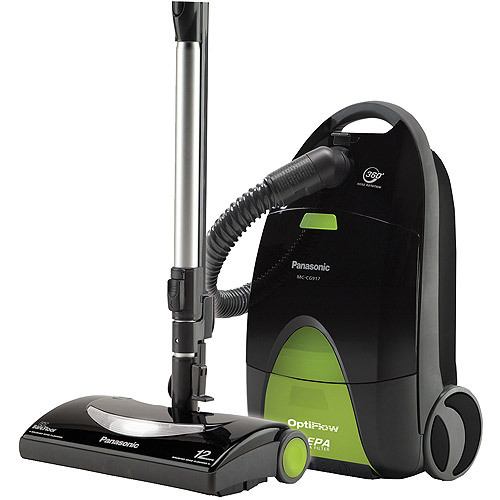 -Adjustable settings allow you to vacuum thick carpet or bare floor. The WindTunnel picked up twice as much dust, dirt, and dog hair than the old vacuum. This vacuum has great suction and easy movement--- until it doesn't work. I really like the retractable cord and that it's easy to clean. Cleaned my area rugs with ease. Airflow is what cleans, not suction. It stopped sucking within 2 months and is extremely difficult to clean. It seriously deep cleans carpets. 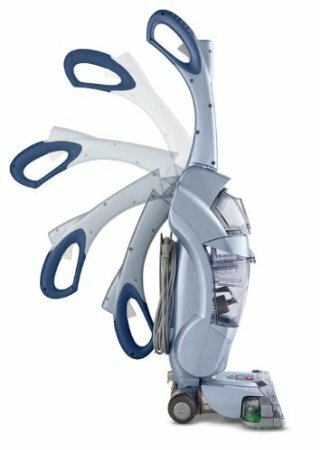 Dysons clean terribly and are over priced for what they offer. I just pulled this particular vacuum cleaner apart today and gave it a thorough cleaning. Then they started to break (all genuine Hoover parts) so far 9 new belts in 9 months with putting the belt on numerous times in between. The belt ALWAYS breaks- and once it does break for the first time even when you purchase a replacement belt from hoover the brush spins way to fast spraying dust back at you when you vacuum. Of the two (2) star reviews five (5) belt s broke, some multiple times. My suggestion, when you buy it... get a couple extra belts at the same time. Upon first using this vacuum, the drive belt snapped twice! It suctions great.However, the belt keeps coming off, requiring me to repeatedly take the time to fix it. After having this issue I went back and looked at reviews of this model (Best Buy)and found that of the eight (8) one(1) star reviews, five(5) had belt issues, fell off or broke. Shame on Hoover, an icon in vacuum ceaner manufacturing, for not having better designed a lower end product that can, at the very least, keep a fan belt from breaking and frying while in the midst of performing a simple task. The belt on this unit never needed replaced. The attachment with moving brushes cleans stares amazingly well. While using crevice tool base floor brush keeps rotating which may damage your carpet, I tilt a bit to avoid floor contact. *LOVE* the retractable cord (although a piece right where the cord retracts broke, but it didn't interfere with using the retractable part) - Great suction power - Easy clean up (Take it out to an outside trash can to dump and it works perfectly) - Easy to remove the bagless container. The attached hose and extension brush head work fine. Picks up so much hidden dirt in our thick carpet, it scared us the first time we looked in the canister!. Also the little plastic red piece broke within the first week. Pet brush: We've a cat, and this cleans everything from pet hair to human hair to kitty litter. It left our small amount of carpet amazingly clean and new looking. You do have to empty the canister more frequently, but it gets your carpets clean and gets all the pet hair out.